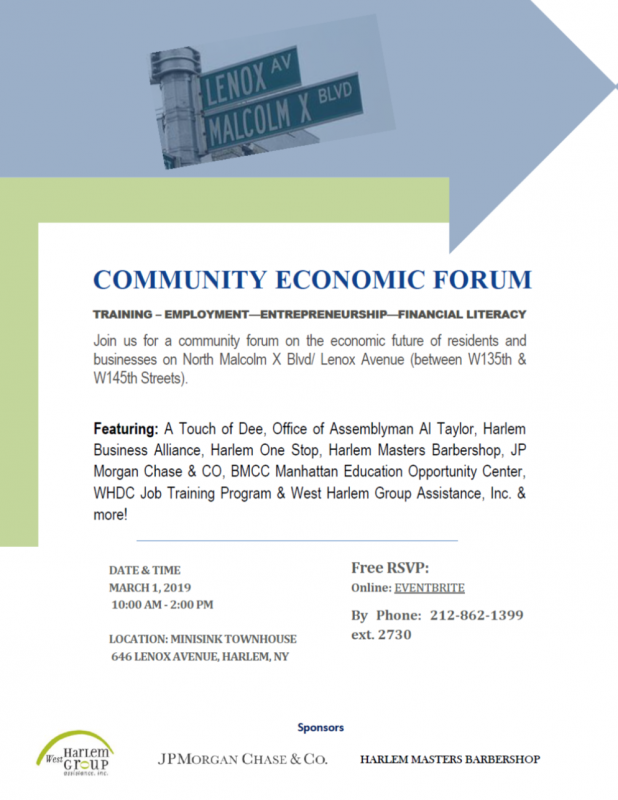 Join West Harlem Group Assistance and sponsors for a community forum on the economic future of residents and businesses on North Malcolm X Blvd/ Lenox Avenue (between W135th & W145th Streets). Free RSVP Online EVENTBRITE or by Phone (212) 862-1399 ext. 2730.